My name is Joshua, or Josh for short. 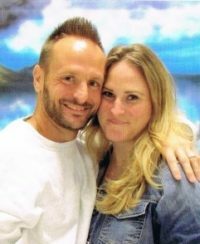 I have been down (incarcerated) since August 06, 2009 and my outdate is May 02, 2019, (next year :D). I am twenty-seven years old as of this writing and I can’t wait to get out and enjoy the only two years of my twenties that I will be free to spend with my family and friends. I am not able to show you a picture of myself right now, but to give you some idea of what I look like I am a white male about 5’9″ tall and I weigh about 158 lbs. I have brown eyes and my hair is either really dirty blond or brown with some blond in it. My hair used to be so blond it looked bleached, but it seems to be getting darker as I get older. My facial hair is mostly brown with blond and red hair in places. Most of my pre-incarceration life was spent living in the small town of Many, Louisiana. I moved around a good bit too but never stayed anywhere else for any significant amount of time, about a year at the most, I guess. I prefer to live in the country but I suppose it isn’t really fair to say that being that I have never lived in the city for any extended period of time. I’m actually considering moving to some city when I get on my feet, just to change the scenery a bit. I’m pretty sure I came to prison as a depressed dupe. I had a fairly pessimistic outlook on things when they didn’t seem to go my way. Early on in my incarceration I thought of my situation as being hopeless, and thought it would remain that way even after I get out. I’ve come to a point where I try to look at it all more optimistically, though I don’t really consider myself an optimist either, I consider myself a realist. The glass is neither half full nor half empty. It’s completely full, one half with air and the other half with water (or whatever beverage you may prefer to fill your glasses with). I say that I am a realist and not an optimist but I should also say that I think the world (reality) is actually a brighter place than many people tend to think, it’s just a matter of seeing it that way. I guess I don’t really have a hobby right now. I’m enrolled in online college courses with Ashland University and that takes up most of my time when I’m not on break. I’m just about to start my last semester for my Associate’s degree, which will be in General Studies. I try to occupy myself with something at all times. If you let your mind wander too far in a place like this you’re likely to lose it. I work out at least five days a week to stay in shape (and get in better shape). I watch the movies the clubs here play on the weekends if I like what’s playing. I’m kind of a nerdy guy and I mainly like sci-fi or fantasy movies, but I will still usually watch just about any movie they show as long as it’s decent and I’m not busy with something else. If I had to choose a favorite movie it would probably be The Matrix Reloaded, although I like the entire trilogy. I like reading but I rarely make time to read except when we are on break from school. I just read Ready Player One this past week and I loved it. I don’t watch much TV except for the news some mornings. My favorite dog is a Beagle (even though I’ve never had one). While I love technology, I think many technologies should be used in moderation. I am never coming back to prison. If you write to me and send me your email address I can send you an invite through Jpay. The “stamps” used to send email through Jpay are cheaper than real stamps and it’s faster, but snail mail has certain advantages as well. The important thing is that I will get your letter either way. I hope anyone reading my blog will walk away from it with something positive that they did not have beforehand, even if it is just the knowledge that there is always someone who has had it worse. Thanks for reading.